Want to print your striking and vibrant artwork on canvas? Then Superchrome is the right spot to give you excellent prints. Located in the UK, Superchrome is a leading digital printing company providing high quality/great value products that effectively add to the décor of residential and commercial buildings all over the world. With our industry leading infrastructure and outstanding support, we can customize your designs, colors, sizes and finishes to suit your requirements. Get premium quality prints with stunning colors that match the masterpiece! With long years of experience in the field of printing to canvas, we at Superchrome, serve our large variety of clients that include hotels, resorts, offices, museums, galleries, and homes. With our exclusive printing technology, you will obtain the professional appearance you desire. Our in-house team of specialists can fine-tune your images and photos with the best color, contrast, exposure and saturation. Combining different technologies and man power, Superchrome can give excellent quality prints to canvas services at affordable prices. To reproduce images with incredible accuracy, color and longevity, we use the highest caliber printing materials including archival inks, paper and canvas. 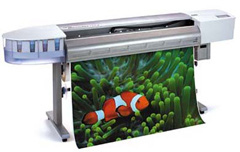 With an array of printing materials available such as photographic paper, plastic, cloth, film and matte/satin, we at Superchrome, can easily transform the designs into prints. To produce the longest life prints, we utilize the museum archival ink technology. Whether it is home or office, we at Superchrome, can give eye-catching contemporary look to any space. We also have a large assortment of abstract designs and color scheme to create canvas prints that suit your needs. Enjoy browsing our online site and feel free to contact our representative to discuss any of your requirements. If you have any comments or questions about our services or products or simply need information or want to place an order, please contact us via e-mail. To discuss about any of our specialist services, please call us. If you would like to know more about prints to canvas, any of the projects shown or if you want to discuss any project you have coming up then contact us 020 7237 9333 or fax 020 7237 9444 or email sales@superchrome.co.uk. Our experienced personnel would be able to guide you appropriately.